The former Fine Gael minister defended his bankruptcy in the UK, saying that it made him feel so down he wished he was dead. AHEAD OF HIS return to Newstalk Breakfast this Wednesday, former Fine Gael minister Ivan Yates has defended his decision to move to Wales to declare bankruptcy. Yates, who had owned Celtic Bookmakers until receivership in January 2011 availed of bankruptcy in Wales last August and was discharged from bankruptcy last week. 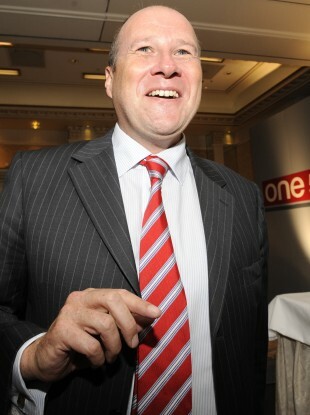 Having been discharged from bankruptcy, Yates was announced to be returning to his role on Newstalk FM. Yates said that he was “naive” in signing a personal guarantee on Celtic Bookmakers. “I was trying to consolidate the business and make it indestructible. We had no internet strategy and our competitors had deeper pockets. “I had signed a personal guarantee so was liable. I was utterly naive and foolish about the guarantee. Yates went on to say that he had made numerous offers to the banks, but feels like he was unfairly targeted. “I put forward two offers to the banks. I said if I could keep the house, I would sell everything else. “I offered to give over 80 cent on the Euro, but I was told that even if I gave them 99 cents on the Euro, they’d say no. I was shocked to find from a Dáil question that AIB have only taken bankruptcy proceedings against two people: Ivan and Deirdre Yates. Yates is writing a book on his experiences and has a chapter on banks entitled “Arrogant, Inhuman, Bastards”. “AIB destroyed my life,” he said. On two occasions, I was so down I wish I was dead. “I have lost everything. Lost everything that I worked my life on. I will do my best to try and procure a home for my family. Email “"Arrogant, Inhuman, Bastards" - Ivan Yates takes aim at banks over his bankruptcy”. Feedback on “"Arrogant, Inhuman, Bastards" - Ivan Yates takes aim at banks over his bankruptcy”.